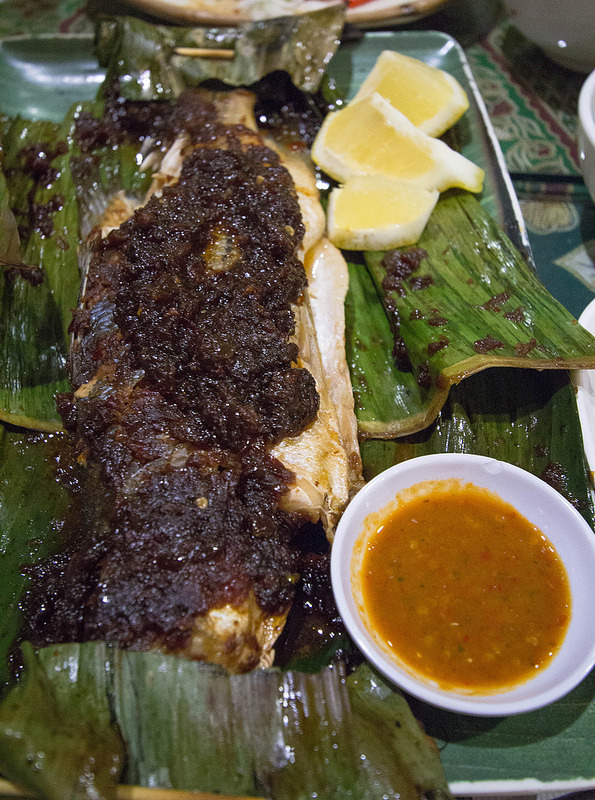 Grilled striped bass coated in spicy lemongrass sauce and wrapped in a banana leaf. Lemon wedges and sambal were also served with ikan bakar. This was my first time having ikan bakar; it had a very undescribable unique taste, but the texture of the black sauce reminded me of black bean sauce. Oh, and as I’m posting this and looking at the photo I took, I realize I totally missed the sambal for my ikan bakar, though I did get a lemon wedge…T_T…will have to try it again next time!